Oklahoma guard Buddy Hield is featured on the cover of Sports Illustrated for the second time in three weeks. 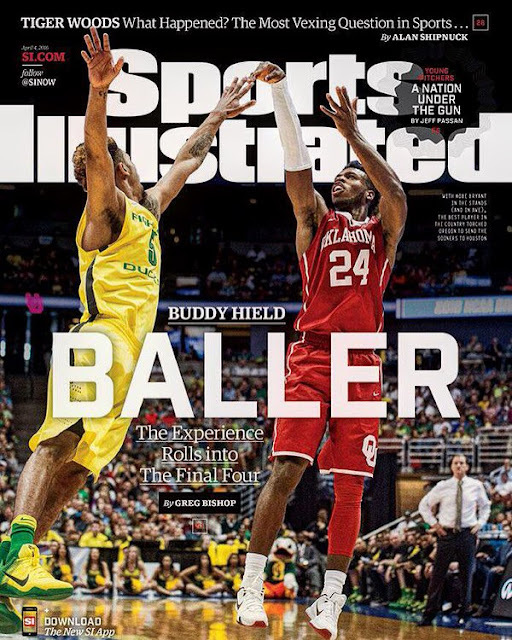 The Hield cover is available on newsstands in Oklahoma, Montana, Wyoming, Colorado, New Mexico, Kansas, Texas, Missouri, Arkansas and Louisiana. Tiger Woods is featured on the national cover.